Congratulations Duke of Edinburgh Award Achievers! 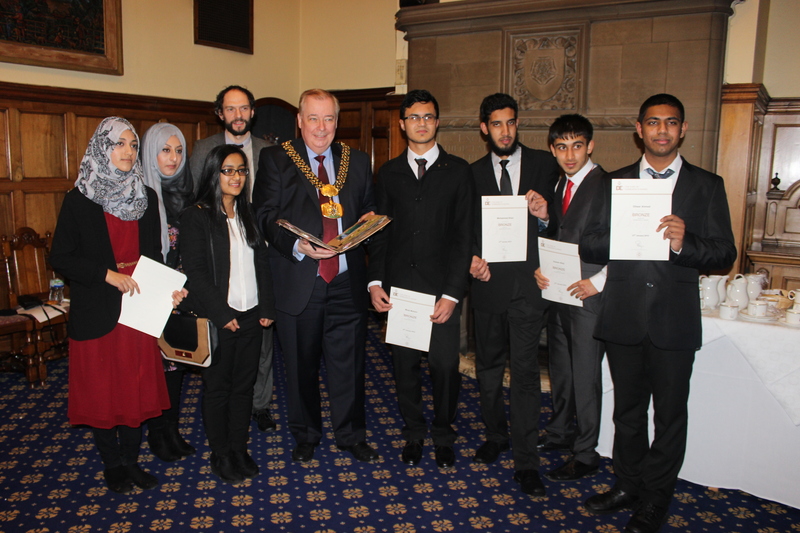 A group of seven of our Post-16 students were at City Hall yesterday evening to be presented with their Bronze Duke of Edinburgh’s Awards from the Lord Mayor of Bradford, Cllr. Mike Gibbons. A huge “well done” to all of you for a fantastic demonstration of commitment undertaking a new skill, a community activity, a physical challenge and the expedition. Posted on January 28, 2015, in Uncategorized. Bookmark the permalink. Comments Off on Congratulations Duke of Edinburgh Award Achievers!.